Working habits in the office environment are increasingly becoming mobile thanks to omnipresent smartphones and tablets that are enabling new ways of working. Even with this mobile revolution, numerous documents still need printing or scanning and in light of this, DEVELOP South Africa introduces the new ineo +258 to the local market. The ineo+258 is equipped for near field communication (NFC) and supports printing using mobile and cloud connectivity, ensuring the seamless integration of a number of mobile devices. 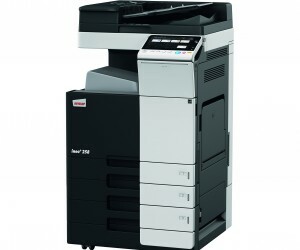 It also supports printing via AirPrint, Mopria, Google Cloud Print, WiFi and Direct from any location - provided the mobile device is connected to the internet. The system is easy to operate with a nine-inch touchscreen that comes with familiar multi-touch operations such as flick, drag-and-drop, and pinch in-and-out. A function like convert+share, allows you to scan a document in various file formats and send the file to whatever destination you want, like Google Docs, Evernote or Microsoft SharePoint. Furthermore, the store+find feature helps you locate any document easily and quickly via a keyword or full text search facility. There are various means of authentication, such as passwords, finger-vein scanning, contactless smart cards or embedded NFC authentication available on the system. Security features such as IPsec, S/MIME e-mail encryption and IP filtering also make sure every form of system communication or document transfer is secure and all data stored on the system’s hard disk is protected from unauthorised access by data encryption technology and, if required - data erasure. The system’s low energy consumption, economical running costs and intelligent environmental concept have earned it an Energy Star rating – an environment friendliness that is good for your carbon footprint as well as your bottom line. The ineo+258 can handle envelopes, recycled paper, pre-printed paper, overhead transparencies and even thick card of up to 300 g/m2. This device can print on a broad range of paper formats from A6 to A3+ (SRA3) or user-defined formats and banners of up to 1.2 metres in length. 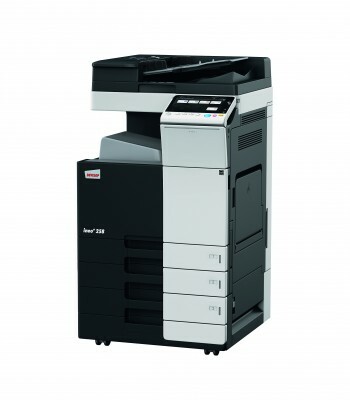 Furthermore, the print engine and innovative HD toner are finely tuned to deliver razor sharp 1,200 dpi printouts and finishing options allow booklets of up to 80 pages to be created – making it possible for almost any job to be produced in-house.